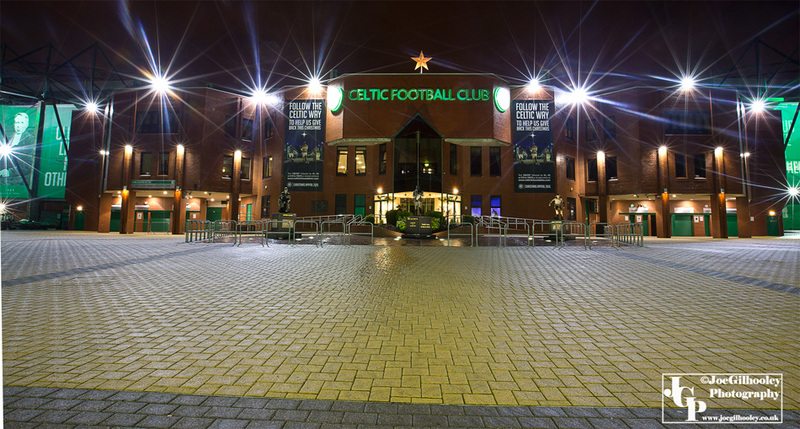 Sunday 20th December 2015. 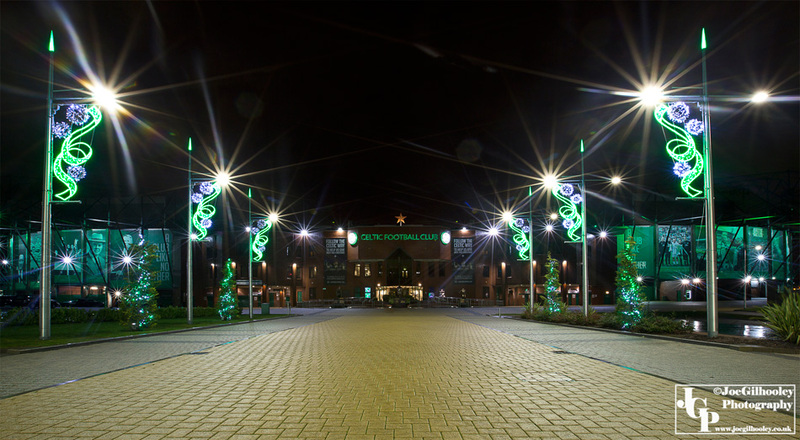 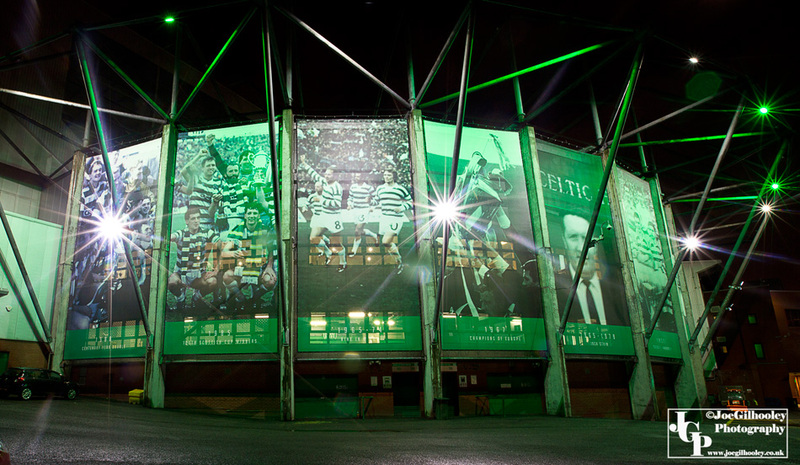 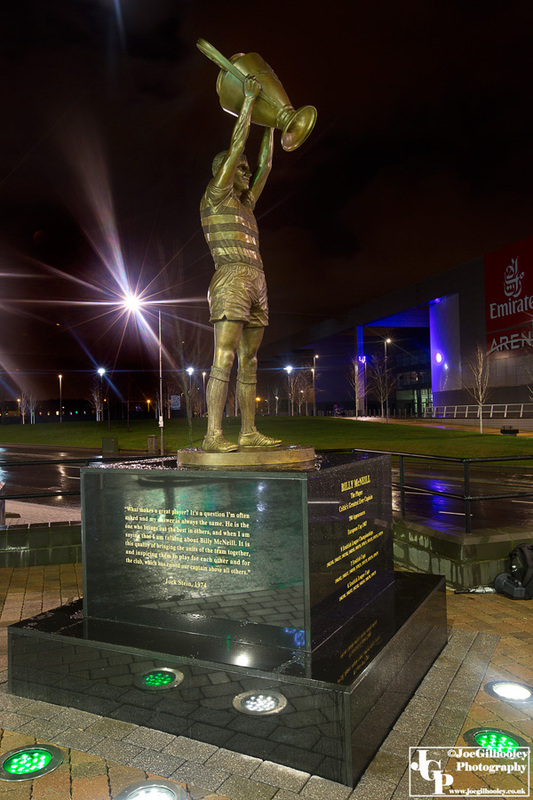 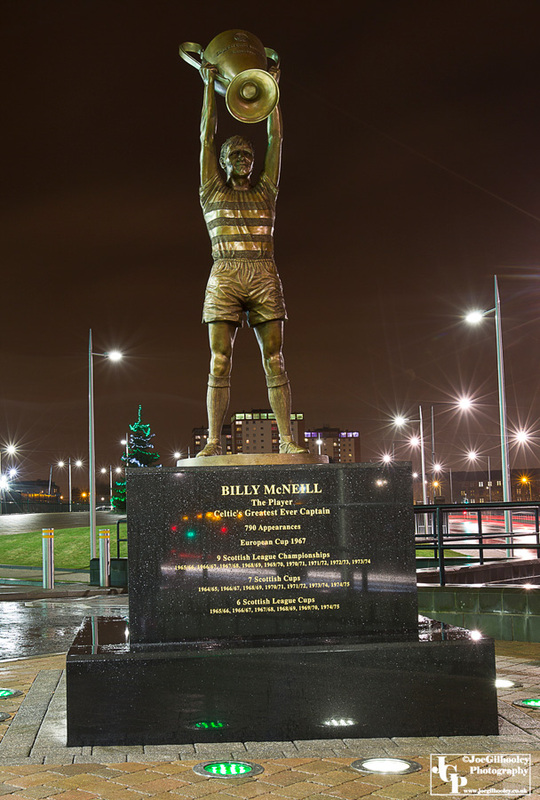 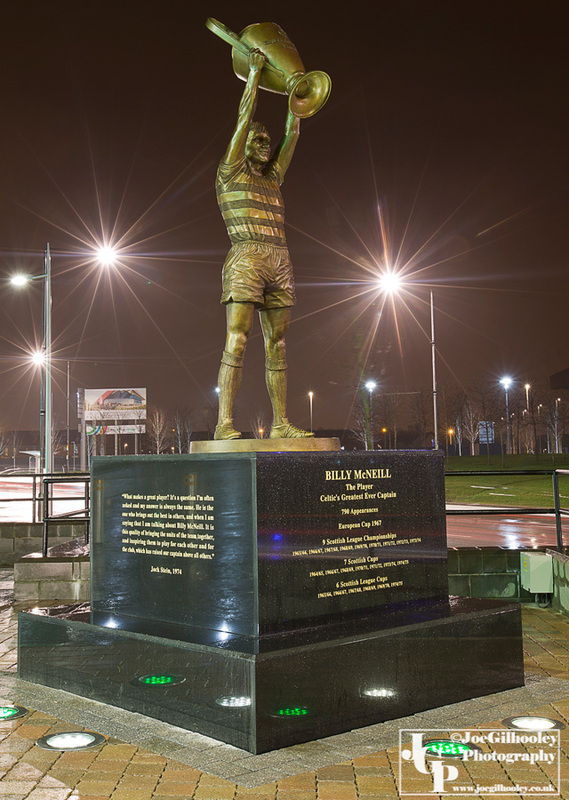 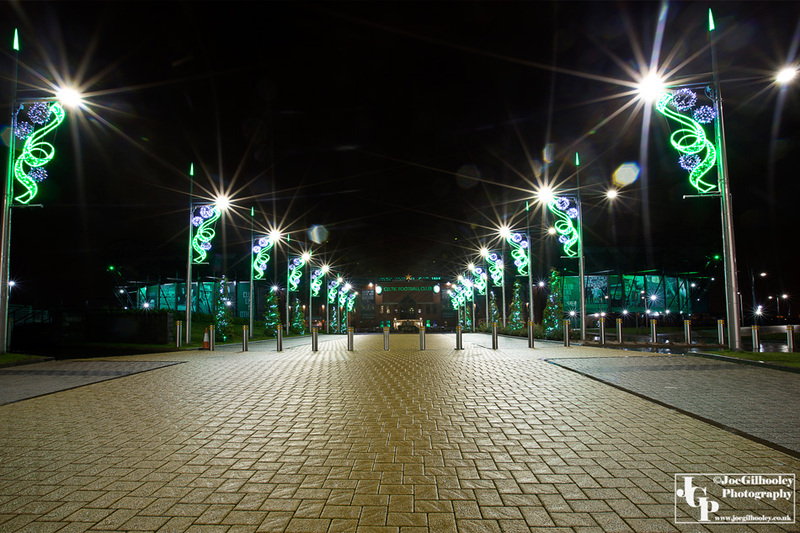 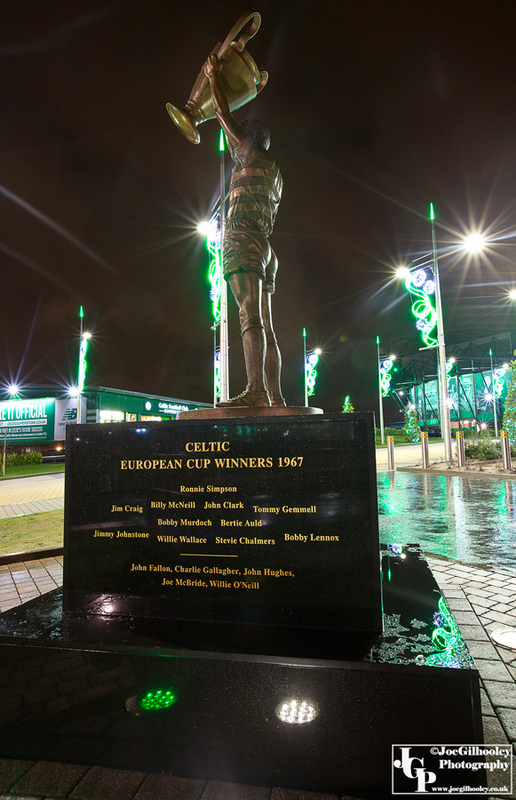 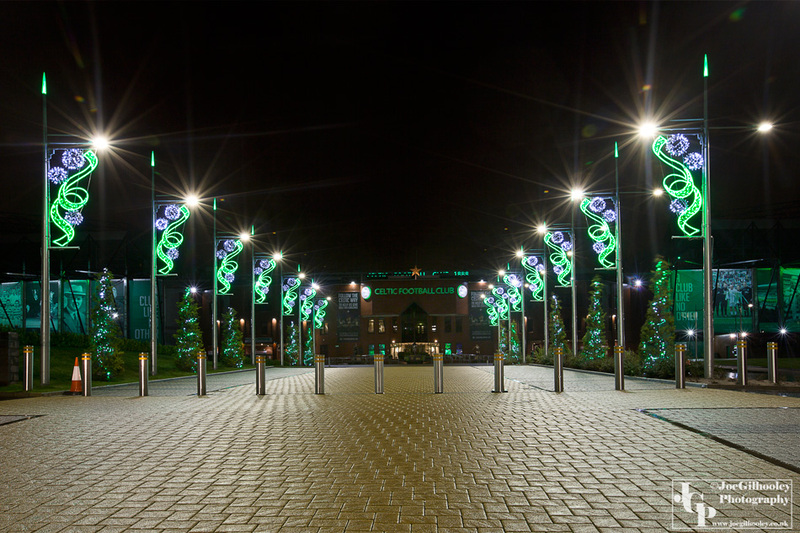 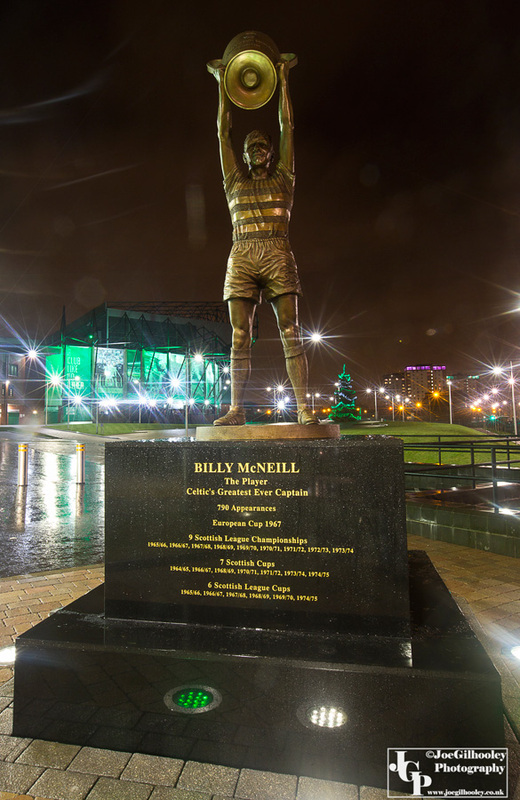 The fantastic Billy McNeill statue was unveiled yesterday at the foot of The Celtic Way. 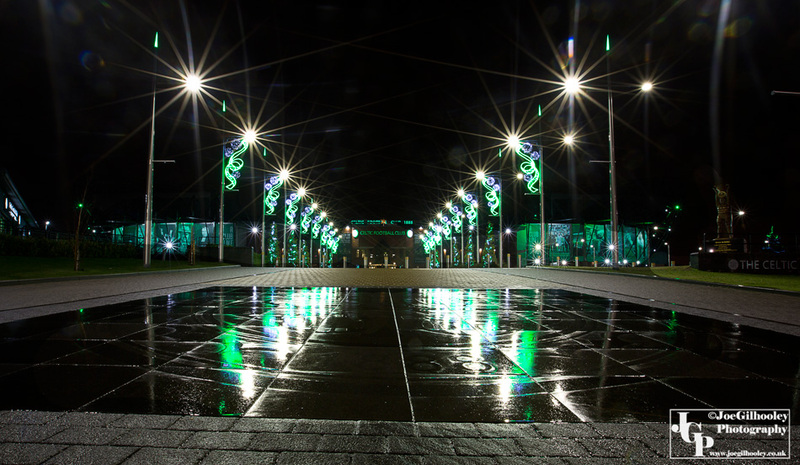 I wanted evening photographs and despite the driving wind and rain I headed through to capture images. 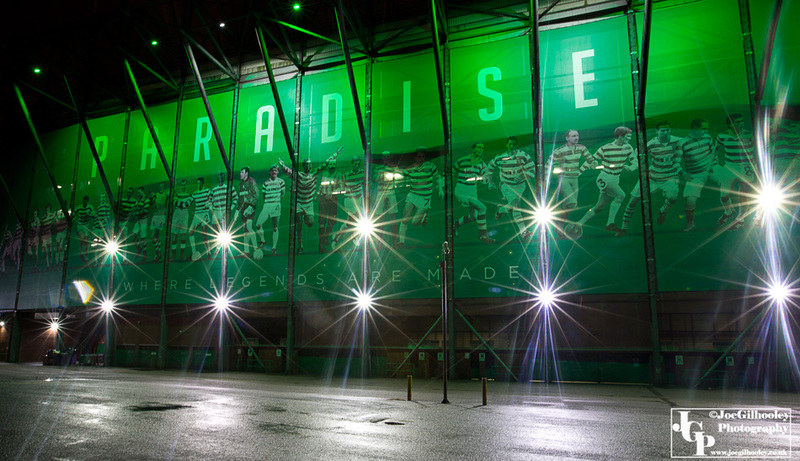 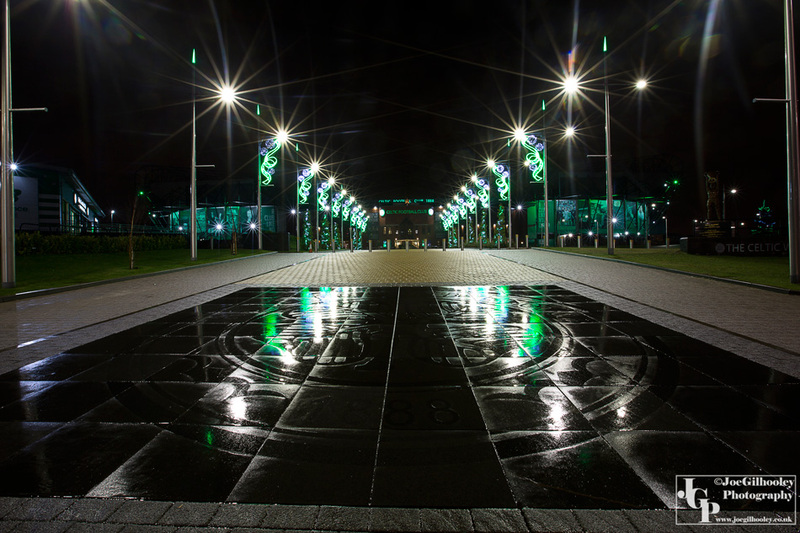 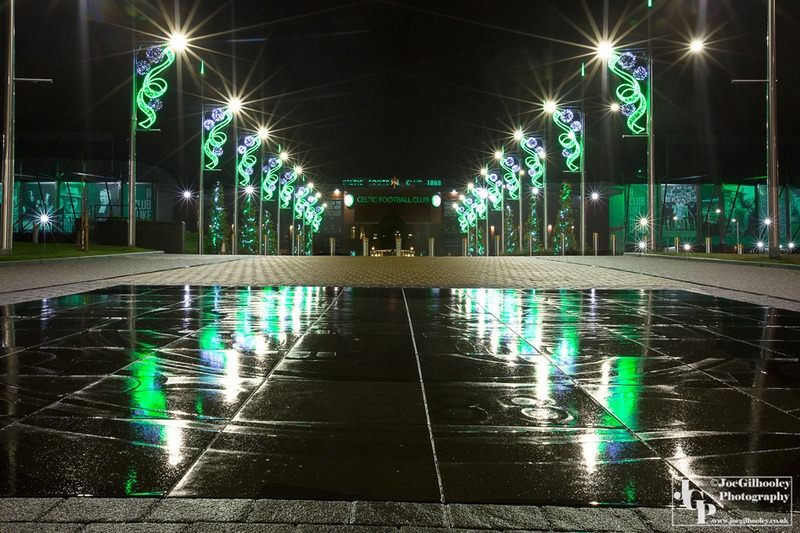 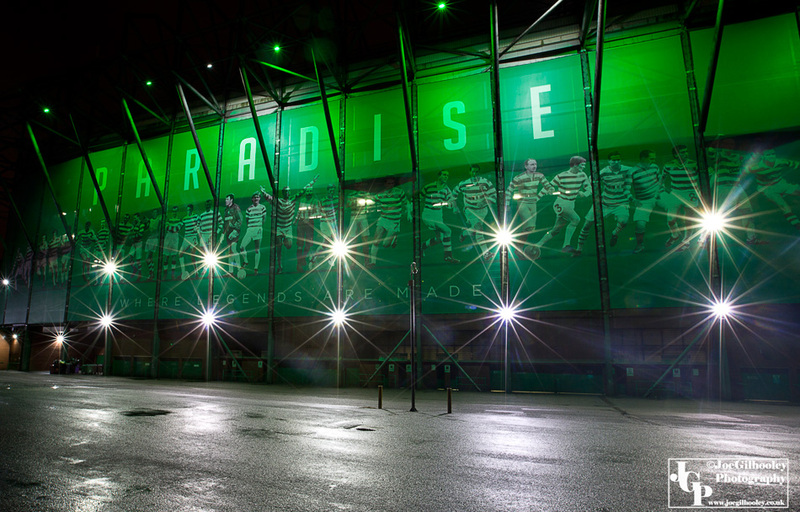 I loved the black paving stones that are the Celtic Crest throwing reflections as the glistened wet in the rain.